This is an only in Israel story. Took mic to the hairdresser this morning. 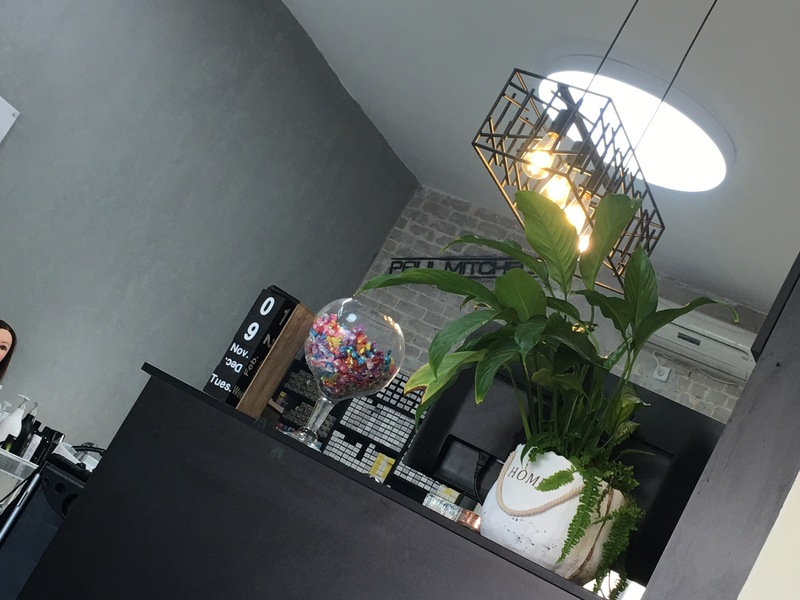 It’s a trendy salon on a funky street. The hairdresser himself is an uber trendoid. ( he gave Talya her funky do). The clientele consisted of an older women dying her hair platinum blonde. A man getting a bald shave, another twenty something covered in tattoos and the assistant – herself tattooed up and half naked. There is a tv in the salon playing channel VH1. And trendy pop music resounding off the retro brick walls. We had the appointment because she wanted her wild curls turned into waves. So while we sat waiting for the treatment to work, we were offered coffee and Danishes. I didn’t know. Danishes were already plated on a cake plate. She was too embarrassed to ask. As if it would be anything otherwise. Love Israel and Israelis.